The one thing man grapples after is power. Much of the violence, abuse, and lawlessness happening in society today is because people are “power-hungry.” Unfortunately, many are blind to the truth that the power they seek is available to them by being in a right relationship with God through faith in Jesus Christ. After accepting Jesus Christ as Savior and Lord, prayer is like glue that holds your relationship together. And, of course, the more you pray, study and obey God’s Word, you grow spiritually, and your character changes—the fruit of Spirit begans to manifest in your life. Wow! That’s powerful. A Christian has access to the supernatural power of God’s Spirit—the Holy Spirit—through a life of prayer. One of this generation’s prayer generals is Dr. Cindy Trimm. In her book, The Rules of Engagement, she discusses the power of prayer by using the prophet Elijah as an example. Dr. Trimm, writes: “Elijah knew the power of prayer, and throughout his dealings with Ahab, he maintained clear communications to the God of heaven.” She further sites James 5:17, as revealing to us the secret of Elijah’s power. James declares, “Elijah was a man just like us. He prayed earnestly. 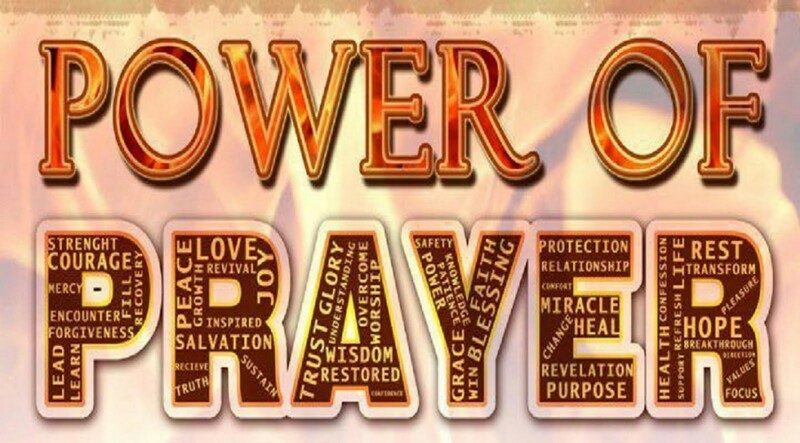 Earnest prayer from this righteous man produced supernatural results.” (Read James 5:16 for yourself). I firmly believe God’s Word, and that if Elijah prayed earnestly and got powerful results, I can too! A combination of prayer and God’s Word are weapons that sends the devil running until there is another opportune season. (Read Matthew 4:1-11). Have you ever considered why it’s so hard to pray without distractions and obstacles? Because the enemy knows the power of prayer. It’s well time that you know too; know who you are, and what God has provided for you to live a victorious life in this present world. You’ve heard the cliché, “knowledge is power.” Let me give you a truth to set you free—knowledge of God through the practice of prayer produces power. The apostles were a force to be reckoned with after the outpouring of the Holy Spirit (Acts 2). But do you know what they were doing prior to descent of the Holy Spirit? Yes. They were praying in that Upper Room. Try it! Get in the Word and research and study about prayer. The two most powerful weapons for believers are the Word of God and prayer! Do you believe? As your prayer coach, I will provide you the tools and spiritual insight so that you will have a powerful prayer life. Please provide me with the tools and Spiritual insight so that I will have a powerful prayer life.